FUKUSHIMA - A floating wind turbine built off Fukushima Prefecture to symbolize recovery efforts after the 2011 nuclear disaster will be removed, a government source has said. The offshore power facility was put in place as the Fukushima Prefectural Government introduced renewable energy after the triple-reactor meltdown at the Fukushima No. 1 nuclear power plant in the days following the massive March 2011 earthquake and tsunami. Experimental studies were conducted with a view toward commercialization but the turbine, one of the world’s largest with a rotor diameter of 167 meters, was deemed unprofitable due to multiple malfunctions decreasing the utilization rate. “At present, we are considering a method of removal because the maintenance cost is too high,” the government source said Friday. 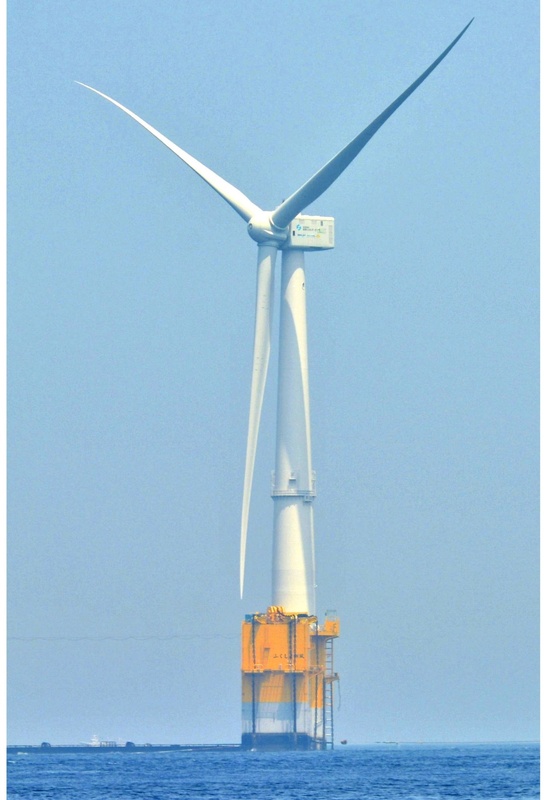 The turbine is one of three on a floating wind farm 20 km off the coast of Naraha. 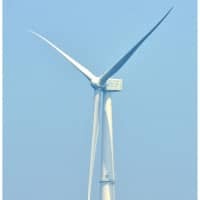 The price tag to remove the ¥15.2 billion turbine, which has an output capacity of 7,000 kilowatts, is expected to be around 10 percent of the building cost. Studies on the two other turbines are due to conclude in fiscal 2018, but the study period is expected to be extended to seek any possibility of commercialization. The turbine started operating in December 2015 but was riddled with problems. Its utilization rate over the year through June 2018 was 3.7 percent, well below the 30 percent necessary for commercialization. The two other turbines, of different sizes, have utilization rates of 32.9 percent and 18.5 percent, respectively.